Tickets: RM20 early bird & RM30 At door. 37th Bon Odori, Klang Valley. Venue: Matsuhita Sports Complex, Shah Alam. 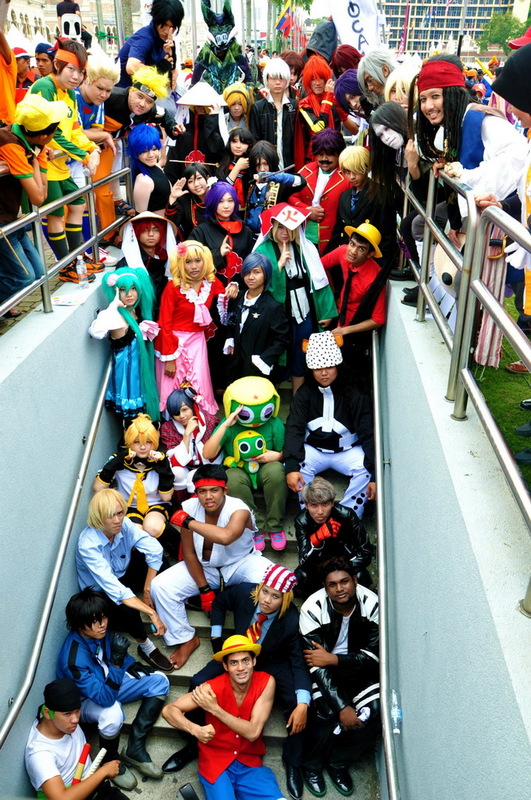 International Cosplay Day Singapore 2013..the theme of Science & Magic! SAISHO の Anime Mania Fiesta !!! Kuala Lumpur, 23 May 2013 – 35 children from 2 orphanages – Rumah Shalom Puchong & Rumah K.I.D.S. Subang Jaya were the special guest for the holiday season launch of the Masked Rider Decade & Kamen Rider Double show at Sungei Wang Plaza. The children had the privilege to be the first to see the show & also meet & greet the two characters. Rumah Shalom Puchong & Rumah K.I.D.S. Subang Jaya are welfare homes that not only care for orphans but also the abandoned, abused & neglected children. Both homes provide therapy & community services with the aim to enable a disadvantaged child to have a better future. The children will also be presented with goddy bags containing Masked Rider Decade & Kamen Rider Double merchandise & chocolates by Ms. Alicia Yuen – Chairman of Council of Sungei Wang Plaza Management Corporation, Mr. Tang FK – Complex Manager of Sungei Wang Plaza & Mr. James Lim – Director of Litt Tak Sdn. Bhd. After the goody bags presentation & group photography on stage, everyone was treated to lunch at Mc Donalds. “Not all children come from happy families, especially the ones who have been abused & abandoned by their own families. Hence, we have specially invited the 2 homes to join in the fun & excitement by being the first to experience the Masked Rider Decade & Kamen Rider Double show at the mall. This will truly be an unforgettable experience for them during the school holidays. This is part of our corporate social responsibility in providing happiness to the underprivileged,” said KK Lim, Senior Manager Marketing Communications Dept. Sungei Wang Plaza. Shop for cool merchandises & collectibles such as DX Decade Driver, Final Form Rider figures, DX Double Driver, DX Prism Bicker, Revolgarry Vehicle & other Masked Rider universal soft figures. The Masked Rider Merchandise Fair is on everyday from 23 May – 2 June 2013. For further information, please contact Mr. KK Lim, or Ms Joanne Lee of the Marketing Dept Sungei Wang Plaza Management at 03-2142 6636. The talented Mika Nakashima will release her new single Aikotoba(愛詞) on May 22nd 2013. This song is written by Japanese legendary female artist Miyuki Nakajima (中島美雪). If you didn’t know who Mika Nakashima is after I mentioned the next 2 facts, most of your would have already seen her before. She played the title role of Nana Osaki in the live-action movie Nana which is based on the shojo manga written and illustrated by Ai Yazawa, serialized in Cookie published by Shueisha. Let me enjoy the rain before I attack a ‘salary man’ & rip out his throat! The JAPAN simulation from Resident Evil: Retribution. « She has 7 albums, 2 EPs & 2 compilation albums to her name. « She has released 34 CD singles to date. « Nana movie song “Glamorous Sky,” was written by the manga’s author, Ai Yazawa, and composed by L’Arc-en-Ciel vocalist Hyde. « Her single “Cry No More” was the ending theme of the anime Blood+. « “Hitoiro” (One Color) was the theme song to Nana 2 movie was which also written by Yazawa, while the music is composed by Glay’s leader, Takuro, who was also the author of the coupling song, “Eyes for the Moon”. When I wrote the address and name on the finished musical score, I realized that the both surname “Nakajima(中島)” using the same Chinese character, so changed to initial, but it was also same “MN”, the full name of Chinese character was all same except one letter, and furthermore we are same same zodiac Pisces! What a wonderful coincidence, I’m very happy to work with her! We have to be careful to distinguish who is who like “Southern Nakashima” and “Northern Nakajima”when we work together, or the staff might get confused as we have the same surname! Honestly, I thought she never accept my offer. But if there are any slight possibility, she is the one who really wish to work with. She wrote such a wonderful song in such a high speed for me…what a nifty and cool person! Perhaps I am the one who is the best person who has been healed by this song, I guess. Source: Sony Music Malaysia. Written by The Captain. 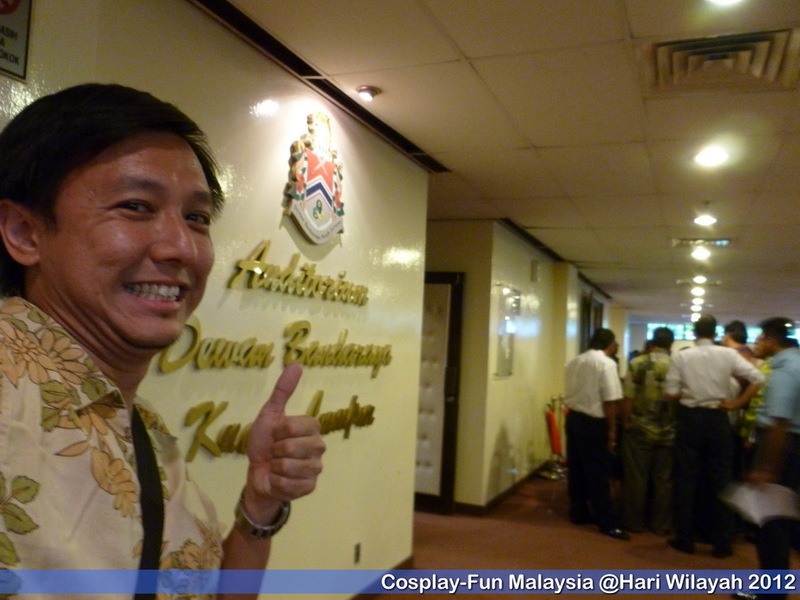 by The Captain @Cosplay-Fun Malaysia 2012. SCANDAL is an ALL-GIRL Rock band from Japan. I first caught them live in 2010 at the Anime Festival Asia – I Love ANISONG Concert. They really ROCKED the stage & the crowd though I do believe they have a little PUNK-Rock style within. Now when I say they rock, it is due to the point where they are a 4 piece band that is very tight & all 4 musicians try to sing parts during the songs. Album track listing – Malaysia release. SCANDAL SHOW is a compilation album consisting of hit songs & also popular B-sides. I found this out a bit later after I got which is good if you’re a new SCANDAL fan. I noticed that they like to release a lot of E.P.s & singles in the Japanese music industry. And I also heard that CD albums are really expensive compared to the price selection we have here in Malaysia. Now this album, priced at RM59.90, comes with a DVD of SCANDAL’s travels during their first ever tour outside of Japan, which took place in 2011. They went to Taiwan, Hong Kong & ended in Singapore. It runs for about 30mins but I think it is a MUST-GET for all SCANDAL fans because it is a behind-the-scene kind of video, in which you can get to see their real personalities apart from their stage rocking presence. The other disc is the SCANDAL SHOW audio tracks & here is a brief review of it. HARUKAZE is the 12th major single (15th overall). It is also the 15th opening theme for the anime Bleach. It is best recognized by its beautiful guitar intro harmonies. This hit track shows a lot of maturity for a all-girl rock band with a flare for belting out punk like attitude as they rock the stage. It starts slow & quickly picks up the pace from the 1st verse to the pre-chorus… then it takes-off at the chorus. Tomomi’s vocal fits in lovely to back up Haruna in the second part of the 1st verse & when all get involved in the chorus the song is lifted to heavenly places with angelic harmony of voices. Then to change the feel around Tomomi takes the 2nd verse & later backed by Haruna. HARUKAZE is truly a beautiful song. The music arrangement & pace keeps building to a crescendo that doesn’t lose its musical momentum despite returning the intro. I think this song should be the SCANDAL theme in their 2nd Wave. It has all the great elements of a Western ‘Alternative” hit in the glorious days of the mid 90s. I do believe it’s the most beautiful way to beginning a concert. This track is famously known as the tenth opening theme for the anime BLEACH. Put your PUNK attitude on!! It’s SHOJO ! or in English = Girl S! Punk style style girl power song! 😀 Not a surprise when the song title is DOLL. Everyone sings on this one. I do feel some ‘bubble-gum’ pop style in this song. But the melodic fast pace chorus is set to send the crowds of fans into a chanting frenzy. The 2nd verse reminds me of the signature style of No Doubt which made me a fan of theirs in the first place. More commonly known as the end song for Full Metal Alchemist Brotherhood (4th Ending theme). The song starts of with another strong a memorable guitar riff which becomes the hook for this song. Then the first line of the chorus brings in another hook but this time it is the vocals pulling of a catchy hook with the back-up that continues to lift the song, definitely fitting of the end theme of a anime theme because it starts strong & slowly hooks you with the hook. This is my most favourite song from this album. It really caught my interest in both the mood & music feel in which it communicates. They say music is a universal language & I agree! I also believe it transcends language too. Anyways, this is song had a hook which locked in to my subconscious & it also brought to remembrance the ‘melancholy sweet love’ theme. That’s the best I can describe it with words. You have to listen to it to know what I’m trying to get at. This song was used as the theme song for the animated film Tofu Kozō. This is one of the fan favourite songs that has even become an anthem phrase for the fans. Usually K-pop group have what they call ‘fan-chants’ but with SCANDAL Fans aka Scandalous, this gets them psyched up before the concert as I found out at the recent SCANDAL Special Live in Malaysia concert 1 Dec 2012. It’s almost compulsory for the fans to reply when you chant “Everybody Say Yeah?”, they will all reply “YEA!”. Now that makes a bonafied anthem phrase! This is the track most know as the song to commemorate Mami and Tomomi’s high school graduation. I can just imagine this song being apart of the K-ON repertoire… or even role-play… to say if I was a musician when I was in school, I would written a song like this. This uplifting track just oozes their youth that wishes a sort of ‘last kiss goodbye’ to that fun filled period of our lives we called High School – “HELLO GOODBYE! This track is very typical of the Punk element that the girls bring on aboard. Heavier power chords are used to form the foundation of the song & Mami’s guitar brings the raw & aggressive tone to the hook. All & all it’s part of the charm & talent that is SCANDAL. This is their THEME!! It reminds me so much of Suede’s ‘Introducing the Band’. Not that it sounds similar but more for the purpose that your band has an introduction song or theme song. “We love music”, “We love singing” – that’s all true to the core for these girls. In just 1:36mins, this song gives a preview of what character SCANDAL have in their music – Bubble Gum Pop, Punk, Rock. Watch out for this one live. 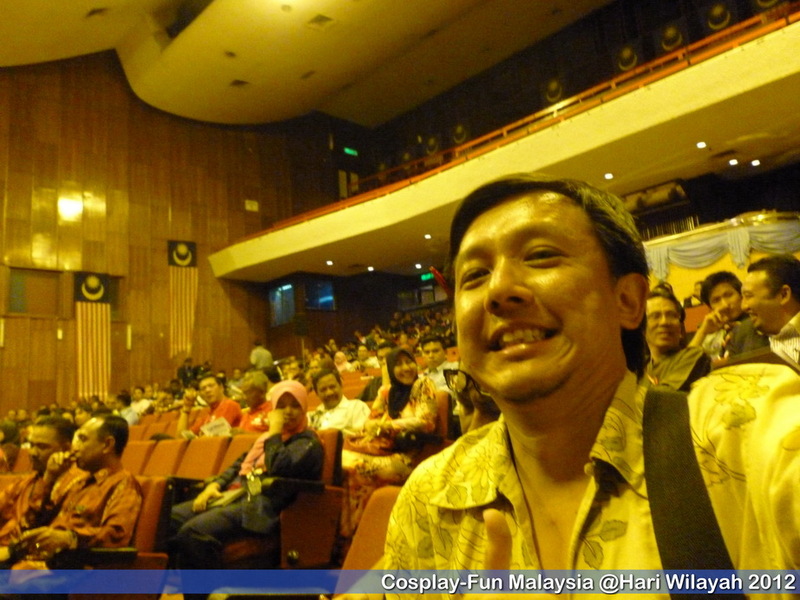 6) May 2012 – Video Games Live returns after 2 years to put on a new show with some new song performances at Istana Budaya. This year the team came with their new conductor Emmanuel Fratianni who just finished work on the summer blockbuster The Amazing Spiderman. Pics by our Cosplay-FUN Photog – Val Ho. 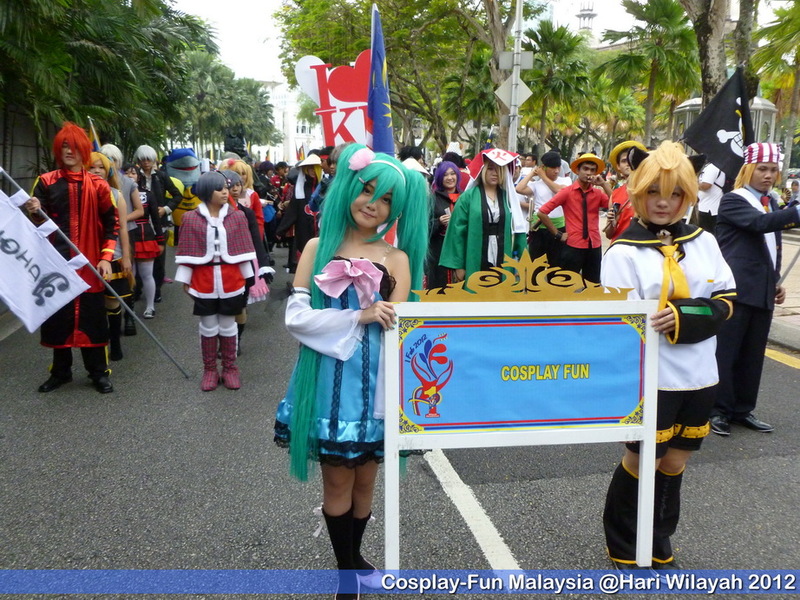 7) June 2012 – The FIRST Anime Festival Asia in MALAYSIA (AFAMY)!! Which means KANAME, FLOW, Kalafina, Kotoko, Aimi, SEA*A, Maon Kurosaki, SPCATS Tasha & Miyuko, Danny Choo, Moe Moe Kyun Maid Cafe & Atelier Royale Bulter Cafe ALL under one event… IN our nations capital of Kuala Lumpur. 41,000 people over 2 days, is the score for the first AFAMY. Enuff said! 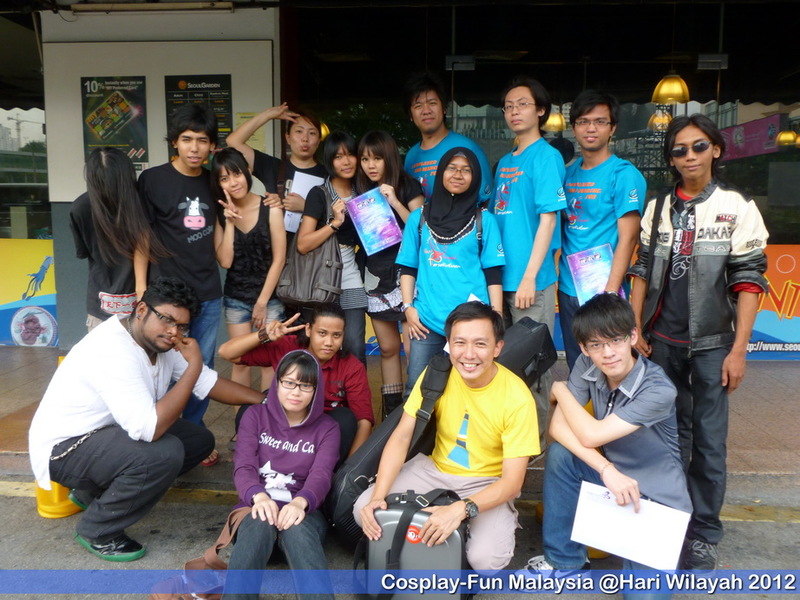 8) June 2012 – Online games company Rimasuri (RMS) revive an old segment with a new twist – The RMS Vocaloid Singing Competition @Sungei Wang Plaza!! It was a hit. Within 36 hours of the event announcement, there were already 16 complete entries submitted. Those of you who took part & those who attended, you all will remember the event well 🙂 It was good fun. 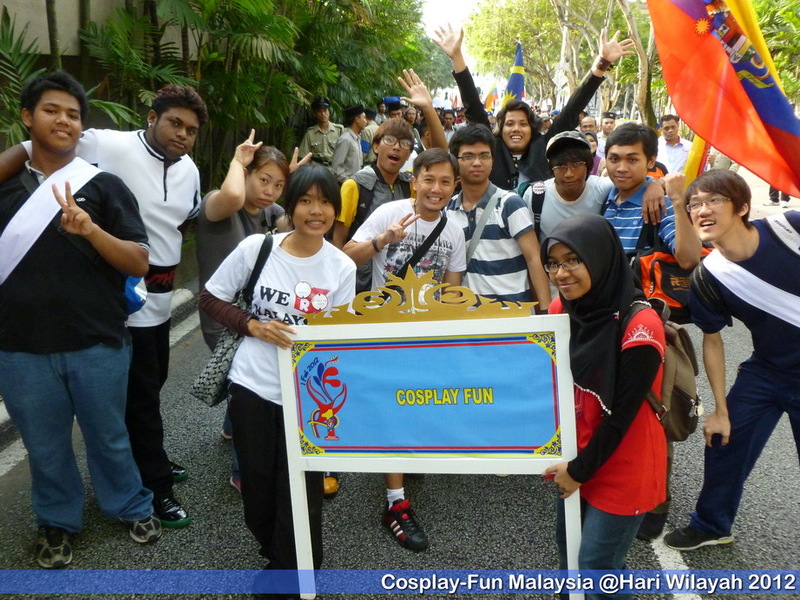 9) July 2012 – It’s time to find our 2nd Malaysian representative to the World Cosplay Summit Finals. 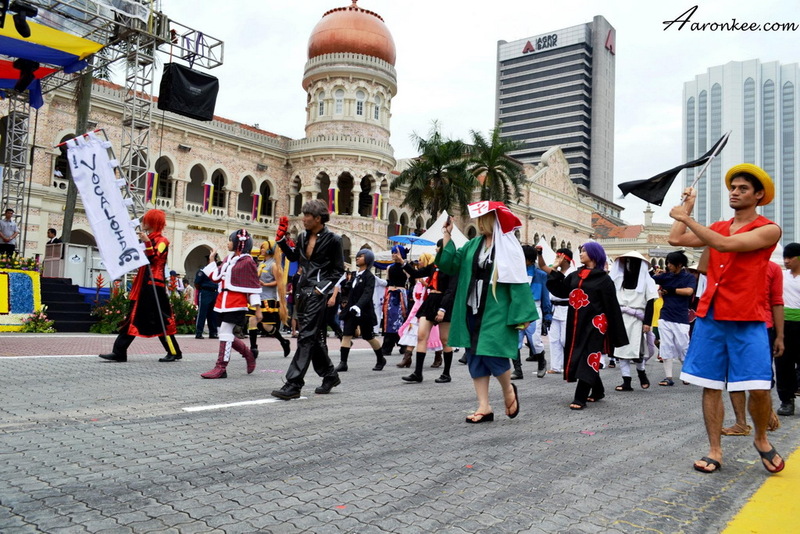 But this year it’s no longer in Johor Bahru… but in the opposite direction on the map… all the way north in the beautiful Straits Quay, PENANG organized by Malaysia Cosplay Toshokan. 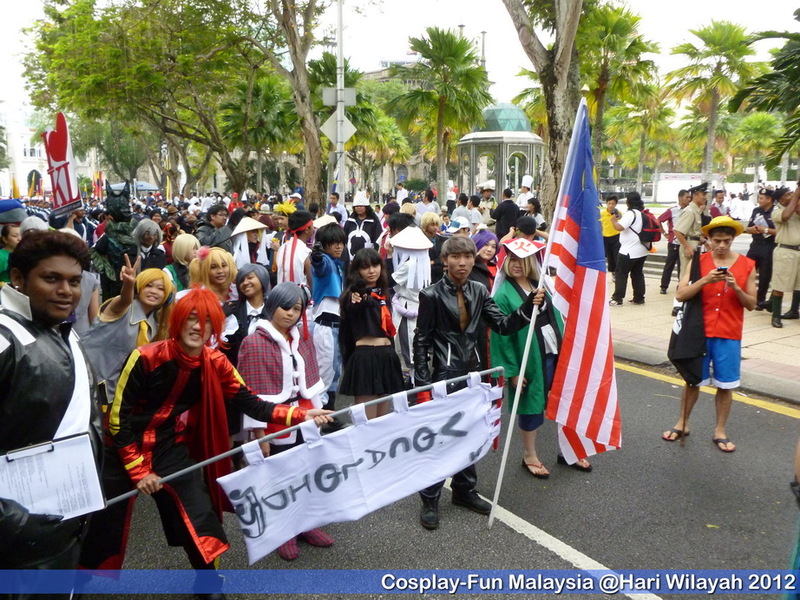 WCS Malaysia 2012 – Winners Gim & Aaron cosplaying from Metal Gear Rising. 10) July 2012 – The samurai guitarist Miyavi came down to KL in such short notice. He really rocked the city with a mini-concert in Avenue K & appearances in Pavilion’s Tokyo Street. This mid year dose of JROCK would only be the first of greater things to follow later on!! Click here for the event page. 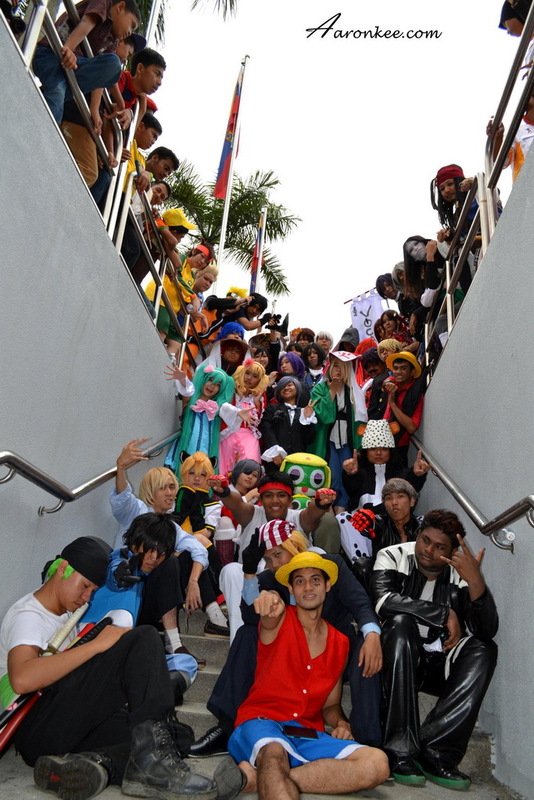 11) August 2012 – Animangaki returned in the new promised venue of Sunway Convention Centre. There is much nostalgia there between Sunway Convention Centre + ACG events because some of the BEST CF Experiences were there! ANIMANGAKI 2012 theme was BACK TO SCHOOL!! 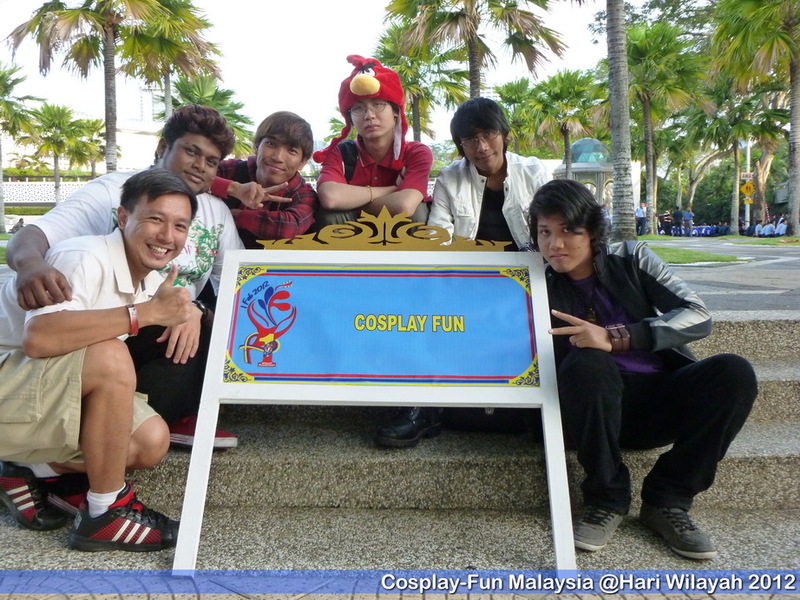 12) August 2012 – Our friends from Singapore made some ground breaking stuff too & most notable was the inagural International Cosplay Day Singapore, which took place on 26th August!! Their VIP guest list were Yaya Han, Jerry Polence & Jay Tabalante. This milestone event was put together by our friends from the Neo Tokyo Project in Lion City Singapore!! Holler!! Click here to read the Asiaone.com Article. 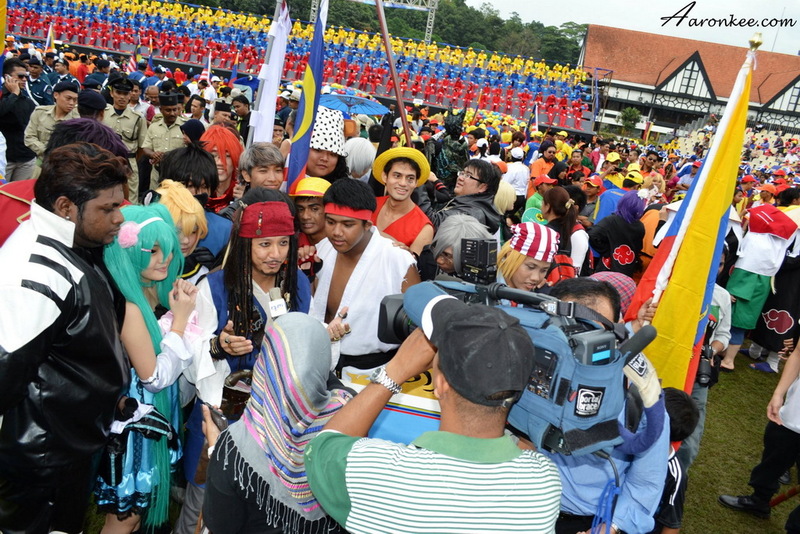 The ANIMAX Carnival is back & we at Cosplay-FUN are glad to announce it. This year marks the 2nd outing for such a fun event. We are hoping that this will be a staple on our calender. 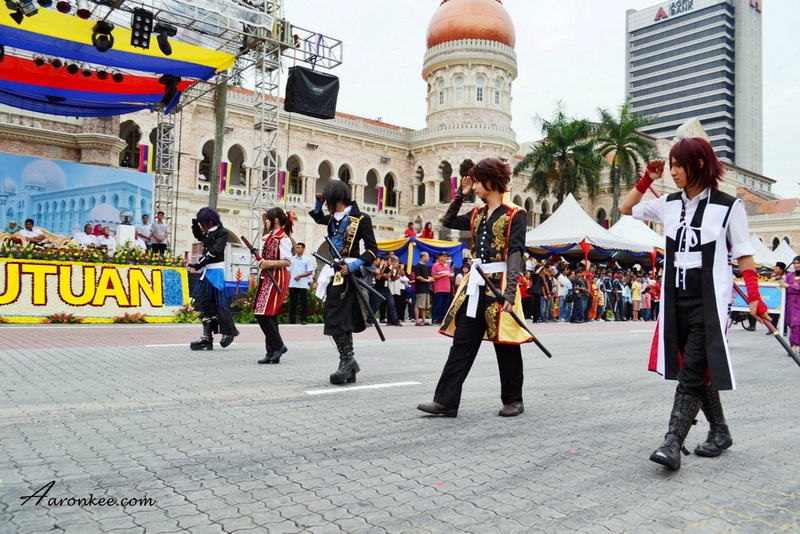 Animax Carnival is returning to Malaysia for the second time after last year’s overwhelming response and a successful turnout of approximately 6,000 over two days. This year, the event will be making a bigger and better return but this time at Sunway Pyramid’s Blue Concourse happening from 16 to 17 March. 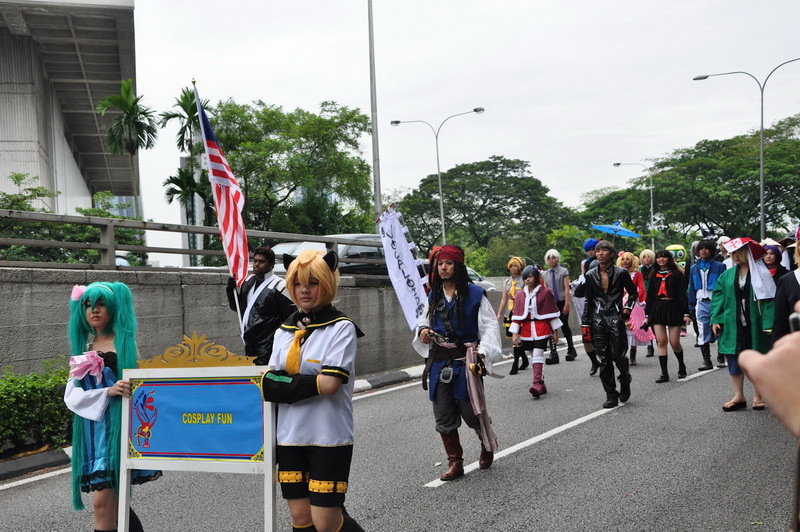 One of the key highlights for this year’s Carnival is definitely the Cosplay Competition’s on Sunday, 17 March. Taking a slightly different spin this year, the Cosplay Competition will be based on one of the all-time favourite anime titles, Fairy Tail, which Animax will be airing its latest Season 3 and also maiden movie in March as well. WOW! Those are some EPIC prizes!! May’n takes to the stage at 1pm, Saturday 16 March, 2013. Visitors to bring along a January/February/March Astro bill which entitles admission for up to 4 persons. Even cosplayers who want to gain access into carnival need to bring your Astro bill as in point 1 above.